This past weekend I cooked a boneless, sliced ham for Sunday dinner and we ended up having a lot for leftovers. So after having ham and eggs for breakfast for two days, I decided that I would make some ham salad with the rest of it. 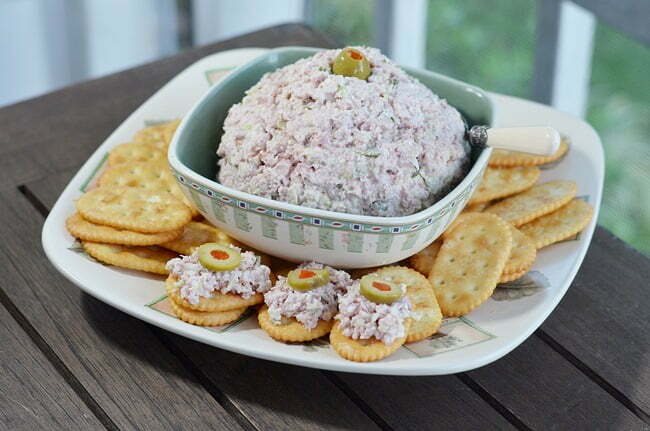 Now I’ve tried making ham salad before but I was never satisfied with the results. 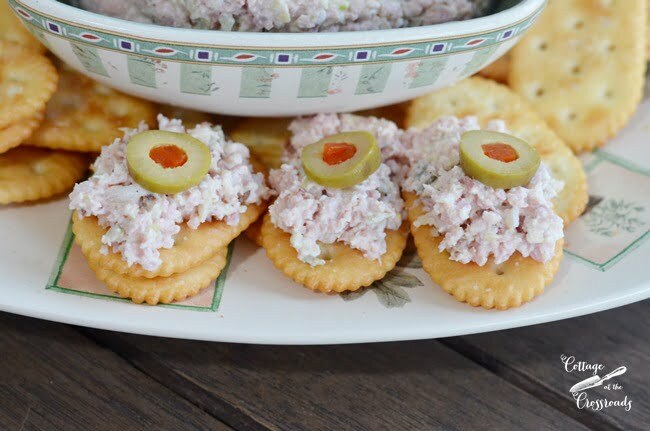 My sister-in-law Jean has always made THE BEST ham salad so I asked her how she made her ham salad. So today I’m sharing her recipe and it is KILLER! Now, if you don’t have a food processor, you may just want to look around the blog for something else to read because I can’t imagine making this without one. I think about how folks did all the chopping of the ingredients years ago, and I’m so thankful that I live in a time when I have such a fabulous machine to help make this. What you do is cut your leftover ham into chunks, throw it into the processor, and give it a whirl. I ended up with about 3 cups of chopped ham when I was finished. 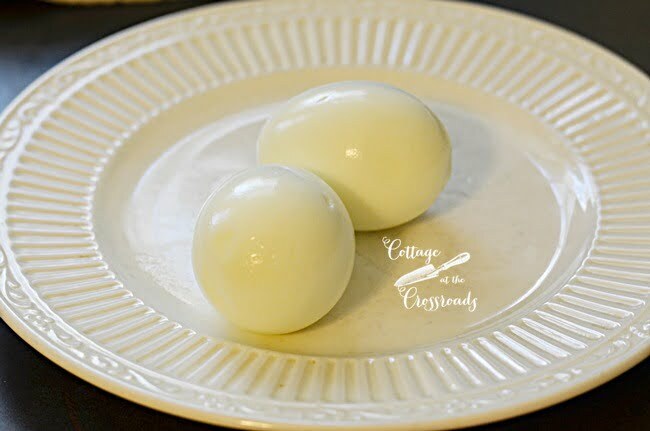 As Jean was telling me how to make the ham salad, she revealed that she put 2 hard boiled eggs in hers. And I thought to myself that was what was always missing in mine. I chopped them in the food processor as well and added them to the bowl with the chopped ham. Oh lawd! These simple ingredients combine to make the most heavenly spread! We like to eat ours on some Townhouse crackers, and I guarantee that if you put some of these out at a party, they would all disappear fast! But the ham salad is equally good as a sandwich spread, or you can put it on a lettuce leaf if you’re watching your carbs. Oh, my goodness! 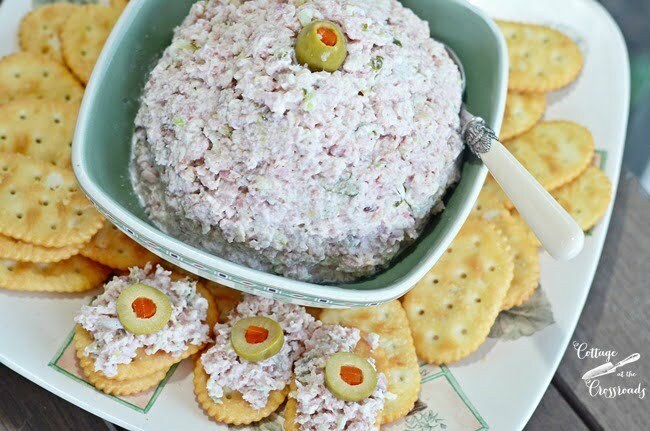 We have been eating this for 2 days now and I’m so happy that Jean shared her recipe for making ham salad. 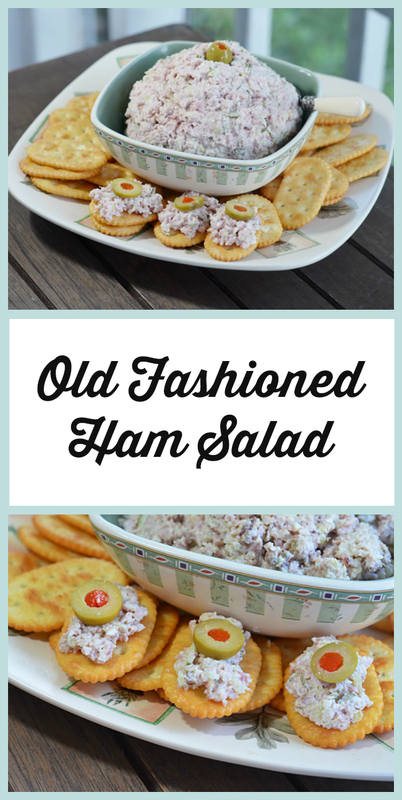 If you’re looking for a recipe for making good ole’ ham salad, this is it! 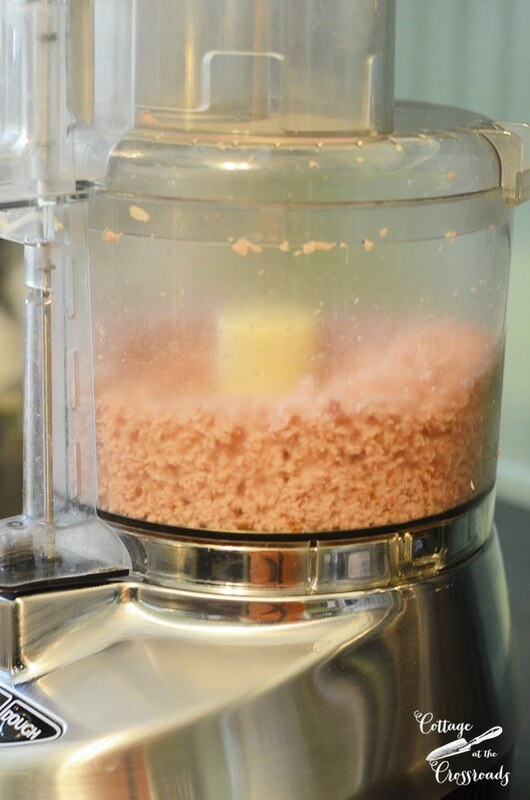 Use a food processor to chop the ham, hard-boiled eggs, celery, and onion in batches. 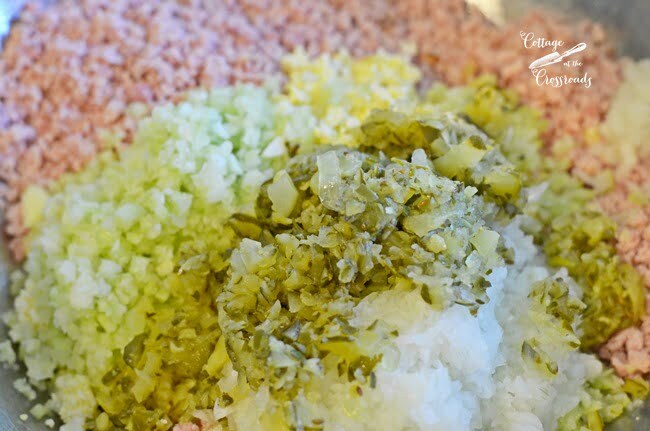 Place the chopped ingredients to a large bowl and add the relish to the mixture. Add the mayonnaise and black pepper and mix thoroughly. Chill in the refrigerator for a few hours to allow the flavors to blend. 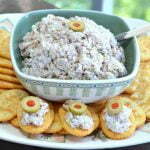 Serve with crackers or use as a sandwich spread. Garnish with parsley or sliced olives, if desired. Just made this yummy ham salad for the first time. It is easy, delicious, and very versatile . A great way to use left-over ham. Will definitely recommend this recipe to others and will make again !!! Thank you Jane, it is awesome ! We both have my sister-in-law to thank for the recipe. I cook a ham just so I can make this! Husband loved it. It reminded him of his childhood!! I just made this as the recipe reads, except I did added one Tbsp Brown Mustard. It is delicious, hubs thought so too. Thank you for sharing. Should have been “as reads”. Thank you so much! This looks so great. 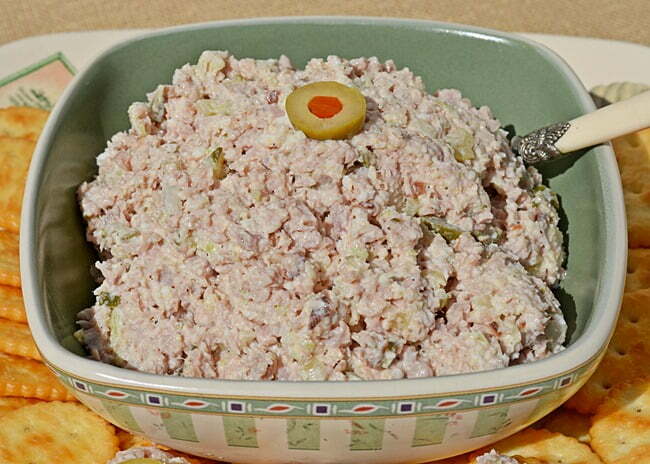 My Aunt and Grandmother made wonderful ham salad and I always regretted not paying attention in that recipe. Thus looks like it exactly. Bingo. Thanks again! 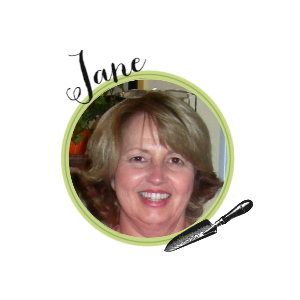 OK Jane, you have touched on three of my favorites, ham salad, deviled eggs, and potato salad. You may have to publish those recipies also. I am going to try the hams salad it sounds great and I to have never tried it with boiled eggs. However, I make a pretty mean potato salad myself. My potato salad is not your usual sweet southern potato salad mine has a little tangy taste to it. Along with the DUKES Mayo, I use a homemade French dressing that helps. When I get a chance to dig it out I’ll send it to you. I have been craving ham salad for a while, now I will definitely make it. This recipe looks great, have never used hardboiled eggs in ham salad but will give it a try! Thanks! I agree, Jim! Your wife makes the best ham salad, deviled eggs, and potato salad in this world! We are so lucky, aren’t we?